Visiting the beautiful capital of Vietnam with friendly Hanoi people and many landscapes. Heading to Hoa Lu, the ancient capital of Vietnam where stores one of the most important parts in the history of the nation, the Dinh and Early Le dynasties. Near Hoa Lu, Tam Coc offers the visitors many wonderful views with the blending of scenes and colors. In Sapa, meet the local minorities and know more about their life style, enjoy the beauty of a typical remote area. 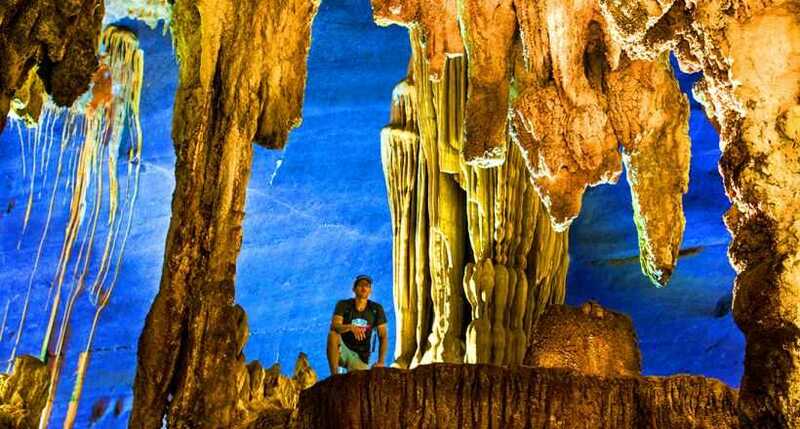 Halong Bay with hundreds of caves and islands will give the visitors many unforgettable moments. A great chance for you to enjoy the beauty of the North Vietnam in 8 days. 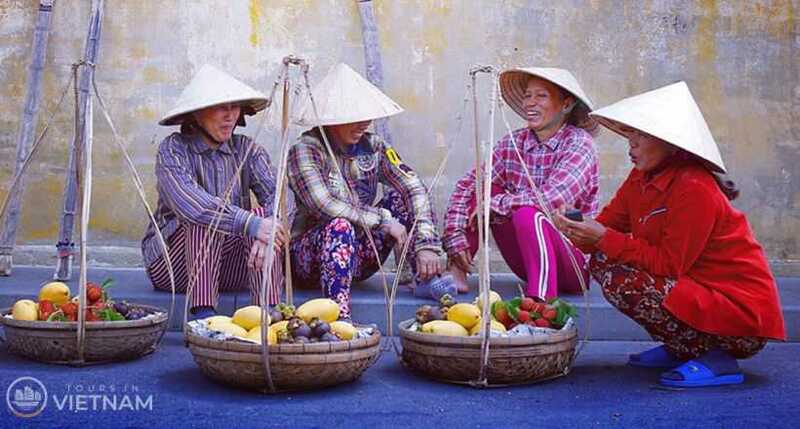 Our five stops, Hanoi, Hoa Lu, Tam Coc, Sapa and Halong Bay will give you the most memorable moments and best scenes in Vietnam with its own beauty. Hanoi is the capital of the nation, famous for its landscapes and historical relics and friendly people. Hoa Lu, also a historical place, contains an important part in the history of Vietnam. Near Hoa Lu, Tam Coc is a wonderful place that shows the visitors the best views of caves and green hills. Sapa gives the visitors a strange feeling of a typical remote area of Vietnam blending with the cold, varying minorities and the peaceful and spectacular scenes of mountain and rare phenomena. Halong Bay, one of the New Seven Wonders of the World, boasts a beauty heaven of sky, caves and waters which satisfy even the toughest customers. You will be welcomed at the airport and transferred to downtown. Hanoi, a city of lakes, shaded boulevards and verdant public parks - the capital of Vietnam. The rest of day is yours. Check in hotel and then enjoy a welcome dinner with traditional local food. Arrive in Hoa Lu - Tam Coc in Ninh Binh province, takes 3 hours from Hanoi. In Tam Coc, we will row the sampan to go along the river called Ngo Dong leading to the Tam Coc grottoes, you will see a range of green hills with rice fields at the base. The fields along with the Ngo Dong river change follow the season grain; before the harvest season, the color of the field is green but in harvesting it turns yellow. Say goodbye to Tam Coc, we will head to Hoa Lu, the capital of the Dinh and Early Le dynasties. Inside the place, we will see the Dinh - Le sanctuary, statues of the Emperors and many others historical relics. Then we head back to Hanoi. Private car and guide will pick you up again and transfer you to Hanoi train station to catch night train to Sapa. Arrive in Lao Cai, explore Sapa and visit the villages of Cat Cat before meeting and chatting with other minorities and understand more about their culture. Take the first step in Lao Cai and then transfer to Sapa; we will feel the cold and strange beauty of this place where varying minorities are living in. Having breakfast at local restaurant with Vietnamese noodles before visiting a the local market. There, your shopping desires will be satisfied because this place is a collection of varying types of goods such as traditional clothes, bracers with sophisticated decorations, crafts... and you can meet local minorities here to know more about their daily life and tradition. We will move to the villages of Cat Cat and meet the H'Mong tribe minority people. You can explore other areas and meet other minorities by walking down the valley below Sapa. Having the lunch and check-in your hotel at noon. Relax and explore Sapa for the rest of the time. Overnight in Sapa. Explore the surroundings of Sapa: Lao Chai, Ta Van villages before train back to Hanoi. Today we will further explore Sapa areas by visiting the villages of Lao Chai and Ta Van. Lao Chai village is a peaceful place where you can meet the Black H'Mong minority people and know about their tradition and custom. Near Lao Chai village is Ta Van village, home to Giay minority. Here, beside meeting and chatting with the local, you can see huge terraced fields and wooden bridges which may scare you when walking on. Having lunch on the way and visiting more the local life. We will go back to Sapa for the rest of the time before transferring to Lao Cai for the train to Hanoi. Arrive in Hanoi before heading to Halong Bay, see many islets there and taking part in interesting activities. Arrive in Hanoi in early morning. You will check in a mini hotel nearby train station by yourself for rest and breakfast. Around 8.00AM, our driver will come to pick you up and start for Halong Bay. On the way you will have a short break about 25 minutes. Arrive Halong around 12:00 noon, getting on deluxe junk and enjoy a welcome drink with lunch of savoury local sea food. Start cruising around the bay to see the amazing karsts with different formations: Lion, Tea Pot, Toad, Dau Nguoi (Human Head) islets, then the boat stop at Titop island, you will have 1 hour for visiting, climbing and swimming. In the morning, start your day with Tai Chi on the sundeck while complimentary tea & coffee are served. Buffet brunch is served on board. The vessel cruises leisurely back to harbor. Breakfast at hotel. Free and easy till transferring to the airport for your flight back home. End of trip!